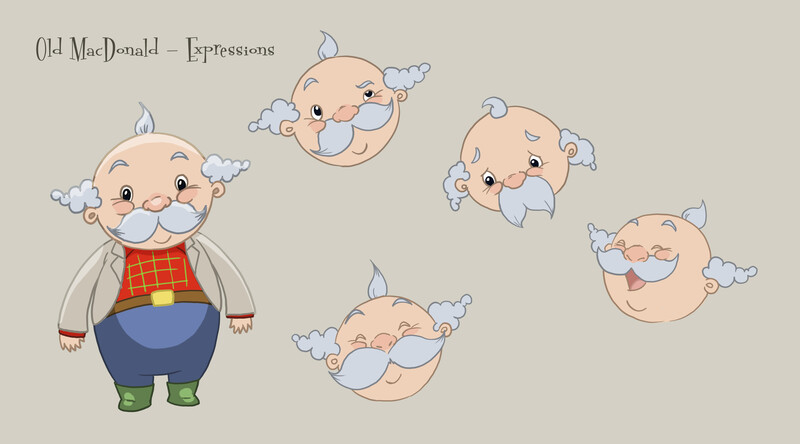 Character designs, illustration and animation for 'Old Macdonald had a Farm' - 'Kids n' Books app. 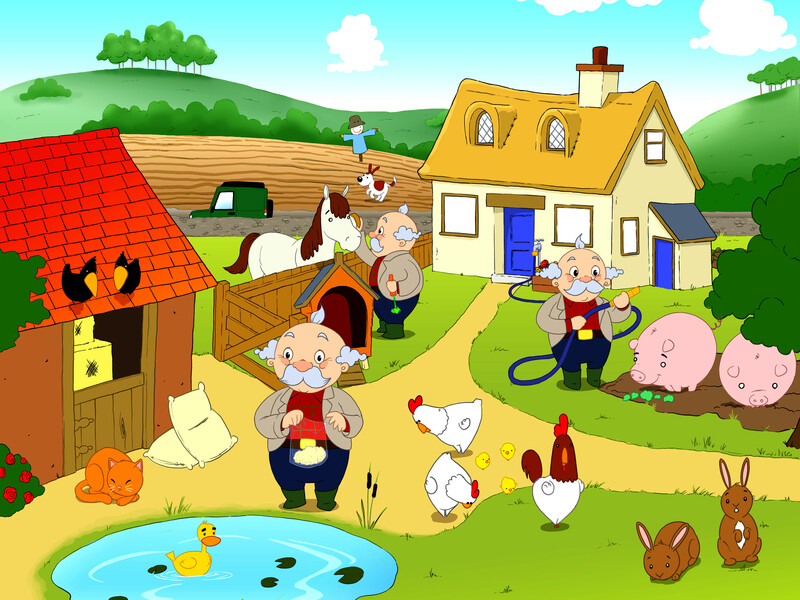 Late in 2012 I was contacted by Japanese Smartphone App developers Smart Education and commissioned to illustrate and animate 'Old Macdonald had a Farm' for their iOS and Android app 'Kids n' Books'. 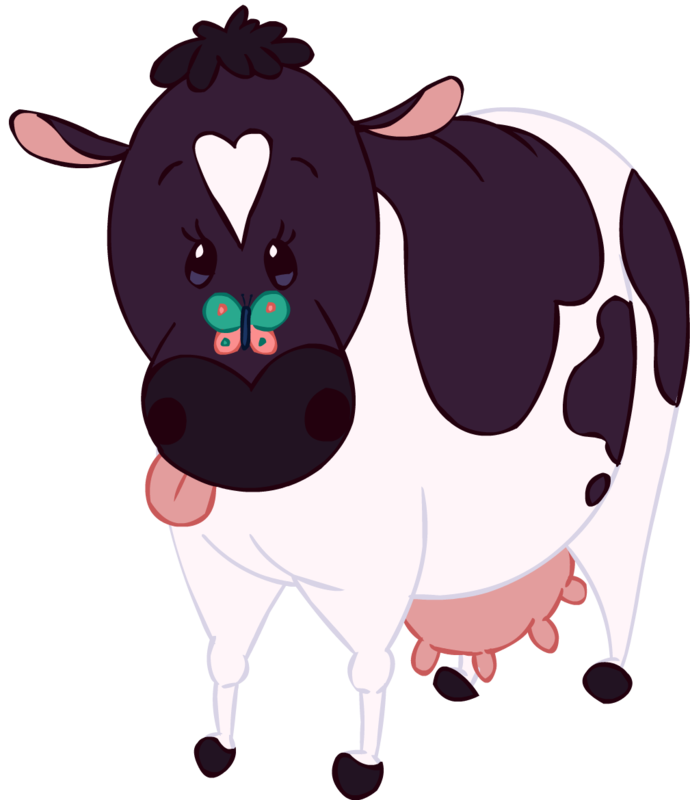 The overall look and feel had to be cute, colourful and engaging to small children and also include a healthy dose of humour. 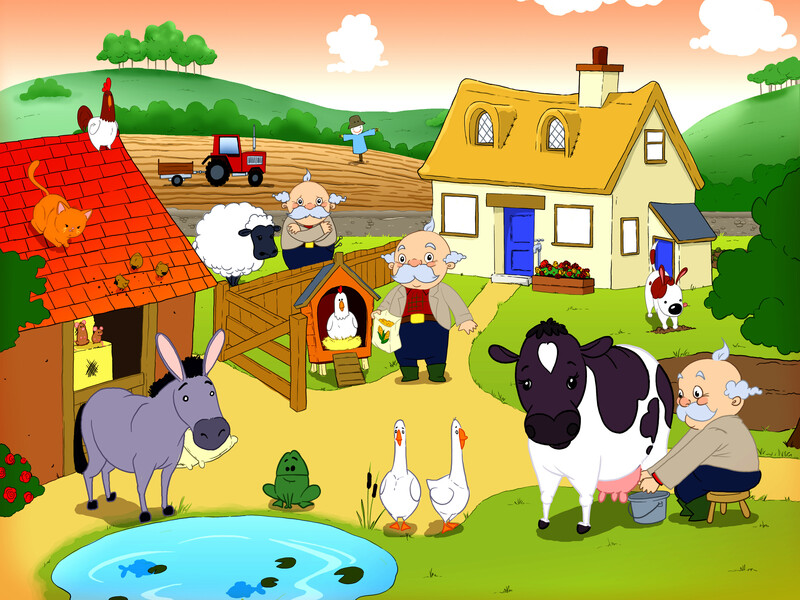 The user moves around the farm, tapping on each animal in turn to trigger a daft little animation sequence. 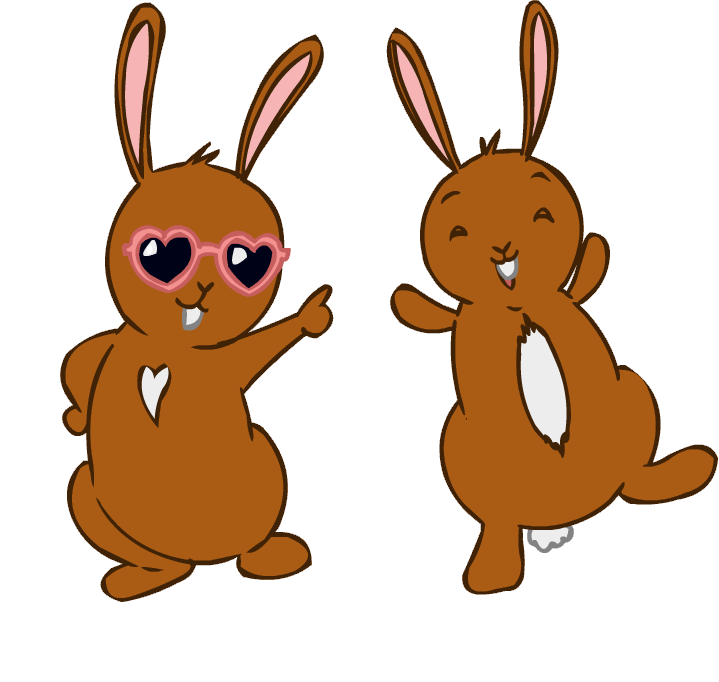 I had a real blast designing, drawing and animating these little guys, and the client loved them too, which is always nice! 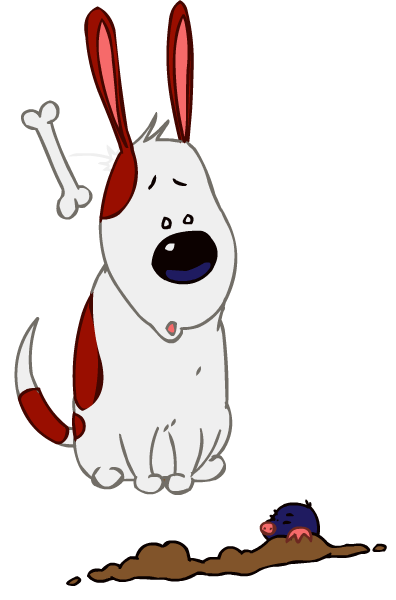 When the user taps on the dog in the morning version, he buries his bone, which very quickly gets ejected from the hole he has dug, bouncing off his head. The bone has been thrown out by an angry little mole! 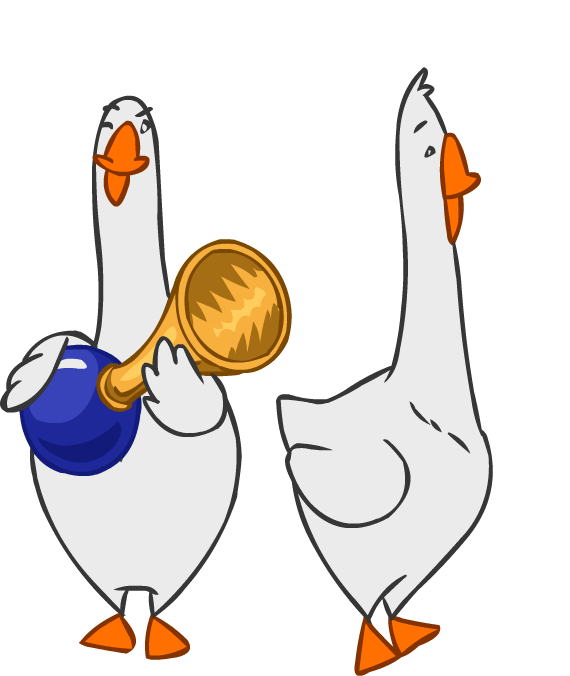 I'm not sure why this mischievous goose doesn't just use his own honk rather than using a bicycle horn, but it certainly startles his pal! 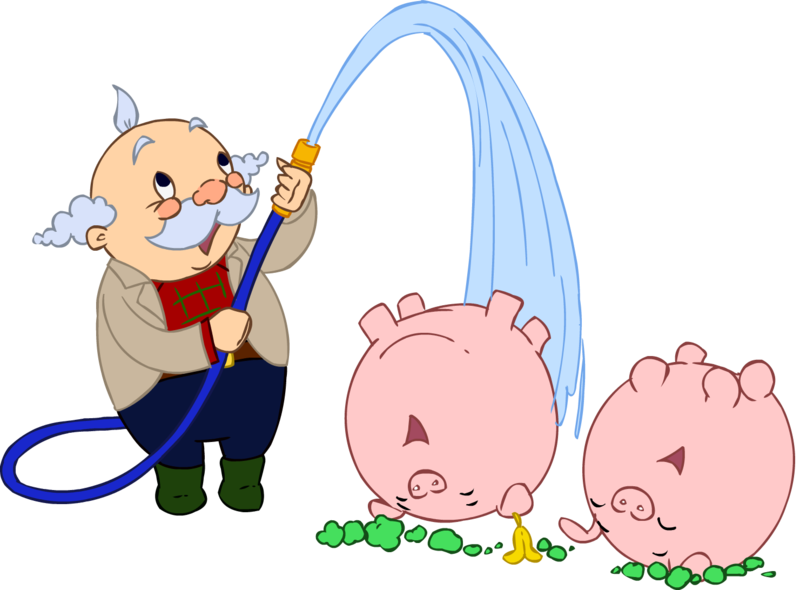 These two pigs love their daily shower.